Vast canyons are awe inspiring. They thwart quests, halt armies, and tell the tale of vast cataclysms from times past. In this quick tutorial I’ll outline how to draw a canyon on your fantasy map. In this case I’ve drawn it in pencil on paper (I was feeling like going old school and tactile for this one) but the same tips apply if you’re using digital techniques. In the real world, canyons are generally created by millennia of being worn down by rivers. If your world has canyons created by tectonic upheaval, magical disaster, or comet strikes – you’ll still end up with a river. Water runs downhill, so you’re going to end up with a river running through your canyon. So start by drawing the path of the river. You can add little feeder tributaries here. Remember that any feed tributaries should all come in pointing in the direction the river is flowing. We’re going for a big canyon here. So, the cliff tops around the canyon are going to be some distance back from the river. Here I take a jagged line, and draw an unbroken edge that sort of follows the shape of the river. This is the are that is the same height as the surrounding land. We need to clearly show there’s a difference to the terrain on each side of the cliff edge (very similar to technique 3 from this tutorial). We can use line work to do this. Start by drawing radiating lines from the cliff into the canyon. Think of these as spurs of rock from the top of the cliff right down to the ground. Don’t run them all the way to the bottom of the canyon. This gives the impression of the vertical cliffs softening out into the flatter base of the canyon. 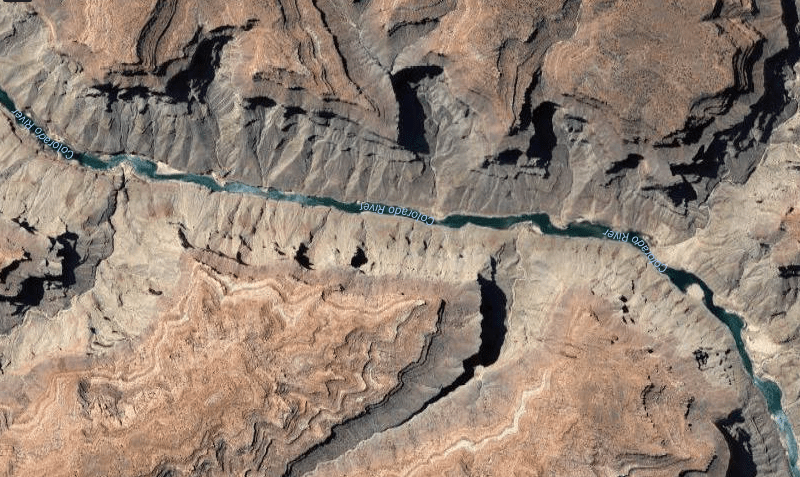 If, instead, you want to have a canyon that feels like it drops vertiginously right to the river bed, keep the lines going almost to the river itself (more like this chasm tutorial). Along the top, we’re going to do the opposite. Here we use lighter line weights, and lay in unconnected detail lines that run parallel-ish to the cliff top. This gives the impression of light wear along the cliff top, and softens the hard cliff edge. We can actually leave it at the line art stage. If you added a label ‘Canyon of Corpses’ or similar, the reader would know precisely what they were looking at and could follow it across the whole map. But we’re going to go one step further and add some tone to deepen the canyon. This is done in three steps. A simple trick here is to make the full canyon a little darker than everything else – that will push it into the background and indicate it’s deeper than the surrounding terrain. If you’re using colour, you can also move it a little towards blue/grey and knock down the saturation. That’ll push it into the background. I’ve used light pencil strokes here. But if you’re using photoshop or Gimp, you can use a hard round brush on 5-10% opacity. If that means nothing to you, there’s a walkthrough of cast shadows in this Gimp/Photoshop tutorial. With all this shading you’re likely to notice that you’re losing definition on the cliff edges. That’s an easy fix. Go back over the cliff edges to darken those lines. Don’t just draw over the whole cliff edge, but focus on places where the shadows are darkest beside it. When the line weight, and the shadow, are pulling together, it’ll look great. And there you have it – a full blown canyon. The first three steps are easy – and the shading part just takes a little practice. I just pulled open the site to find tips for an RPG map I’m currently working on, and it made me so unbelievably happy to find a new tutorial. Thank you, Jonathan!! Woah! New tutorial! Glad you’re back. Thank you! Glad to see a new post! Thanks! Came for some Wood quality tutorial, commented because of happiness. I really like your tutorials because as shown in this one, you are also taking into account the process which created the scenery (the river forming the canyon therefore starting there) and other physical features (e.g. hard shadows) and explaining them to us step by step. I really, really appreciate it. Thank you so much for returning! I have only just recently found your tutorials and they are exactly the style I want to develop for my homebrew campaigns. You are very talented! I am so grateful! Thanks! Glad you’re finding them useful. I’m so excited to find this site. My son is writing a fantasy book and is forever drawing maps. He’s often dissatisfied so I’m hoping this will be a good resource for him. I would like to try those views setting them in a isometric view. Your work always enlighten me… thank you so much. By the way, sorry for double posting. 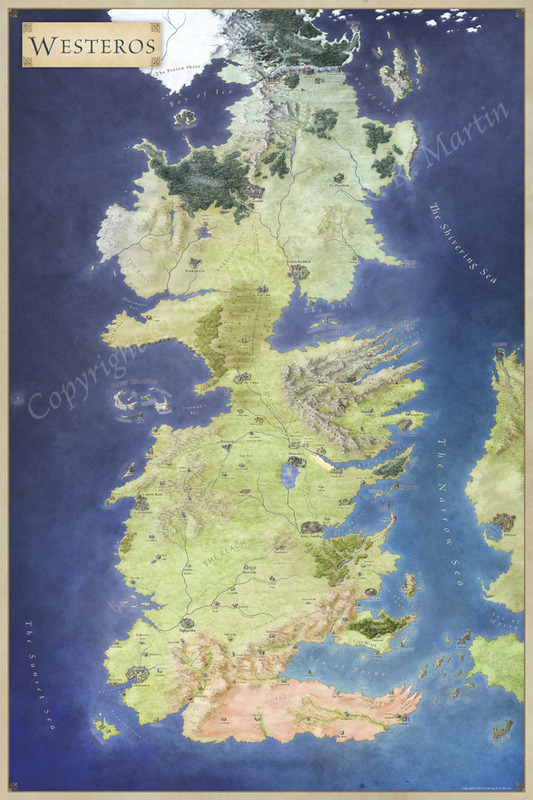 How can I contact you to digitalize (ipad/photoshop) maps handmade by me into more far view of them? Thanks a lot. I’m a bit slammed right now, but send me a note at jonathan@fantasticmaps.com and I’ll give you some direction on how to do that. You are an incredible artist. Thank you for explaining your techniques. Just found your site; can’t wait to see more of your work.